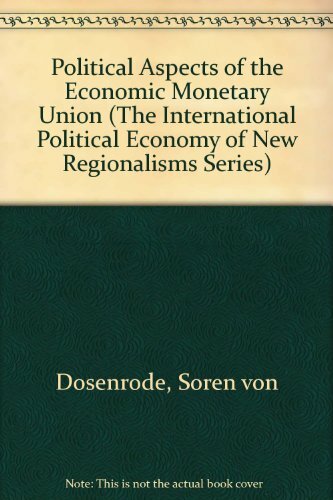 Political Aspects Of The Economic And Monetary Union: The European Challenge (The International Political Econo My Of New Regionalisms Series): 9780754619512 Hardcover - LIMEROCK BOOKS INC. Concentrating on the myriad political aspects of European Monetary Union (EMU), this volume places the EMU and the European Union (EU) in a global context. It should be useful for scholars and students of European studies, economics, modern history and international relations. Libraries and embassies should also find it a valuable reference tool.